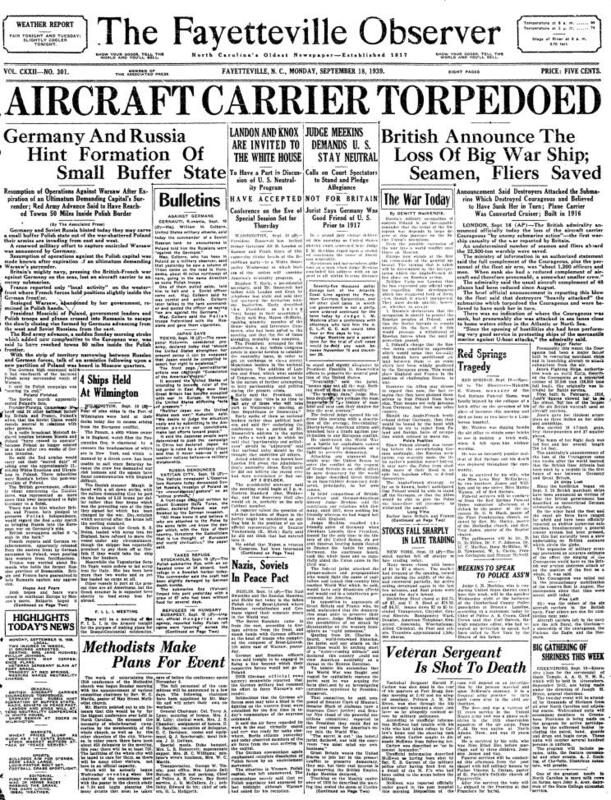 September 18, 1939: Front Page of The Dubuque Telegraph-Herald, Dubuque, Iowa. 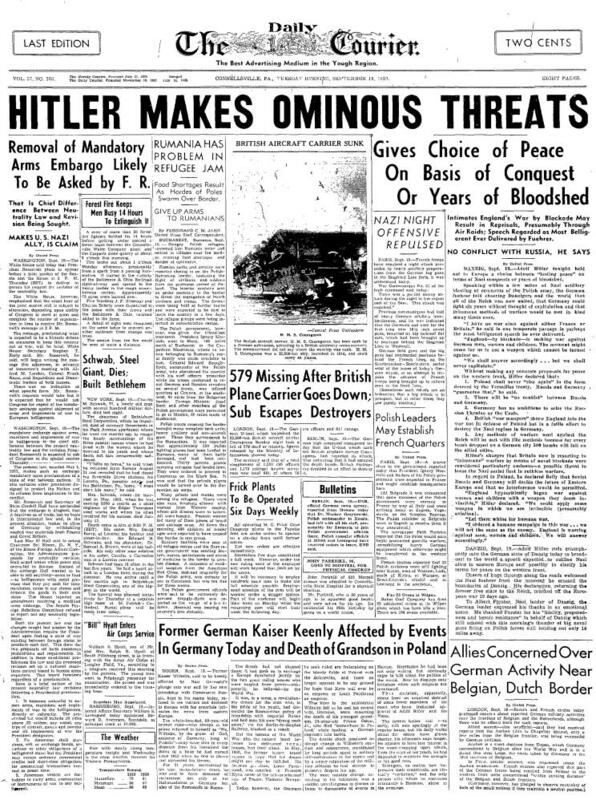 September 18, 1939: Front Page of The Fayetteville Observer, Fayetteville, North Carolina. 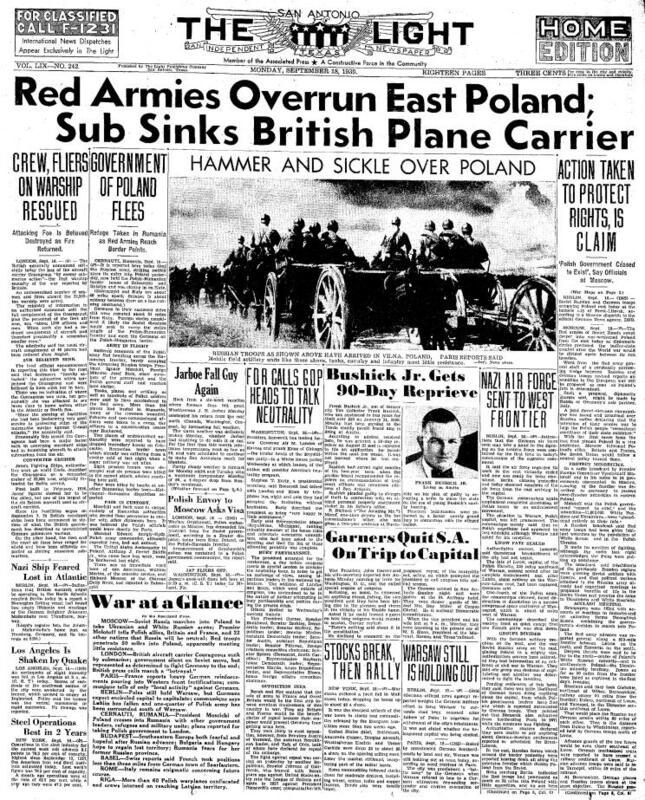 September 18, 1939: Front Page of the Mason City Globe-Gazette, Mason City, Iowa. 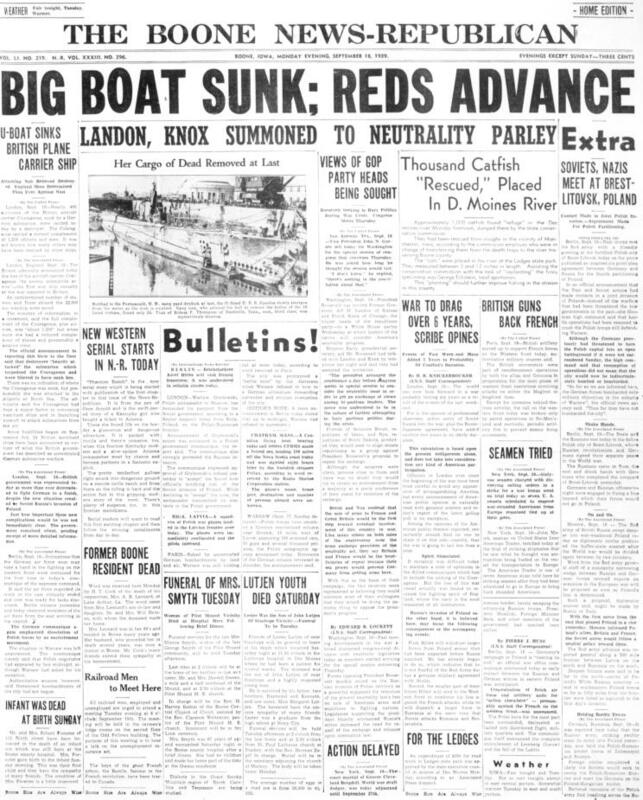 September 18, 1939: Front Page of The Oelwein Daily Register, Oelwein, Iowa. 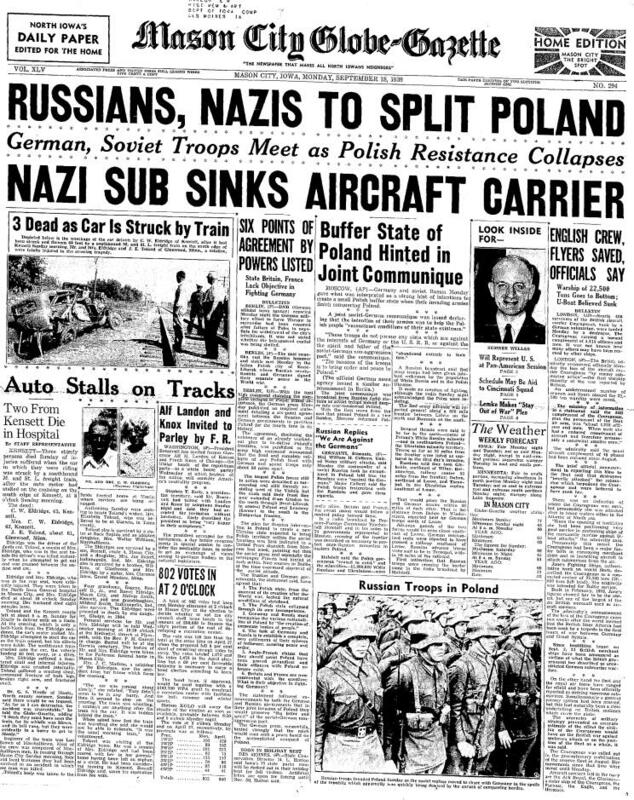 September 18, 1939: Front Page of The Racine Journal-Times, Racine, Wisconsin. 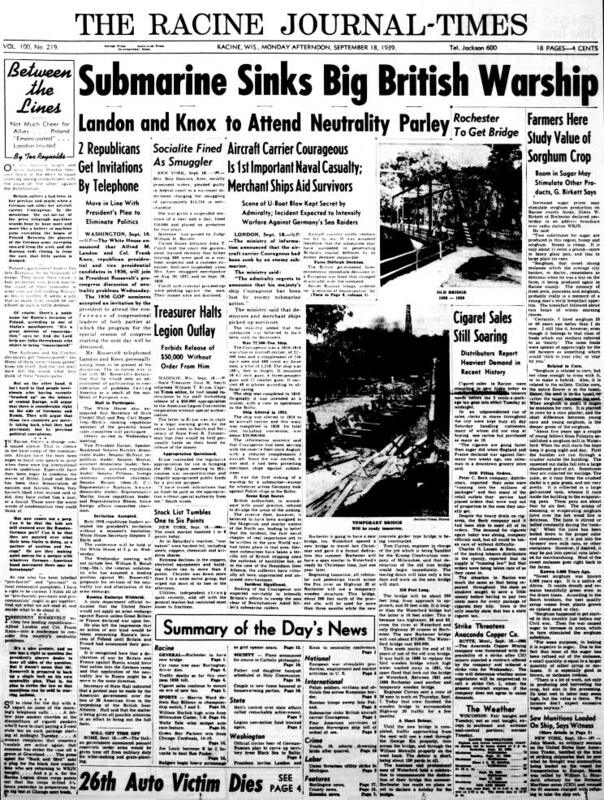 September 18, 1939: Front Page of The San Antonio Light, San Antonio, Texas. 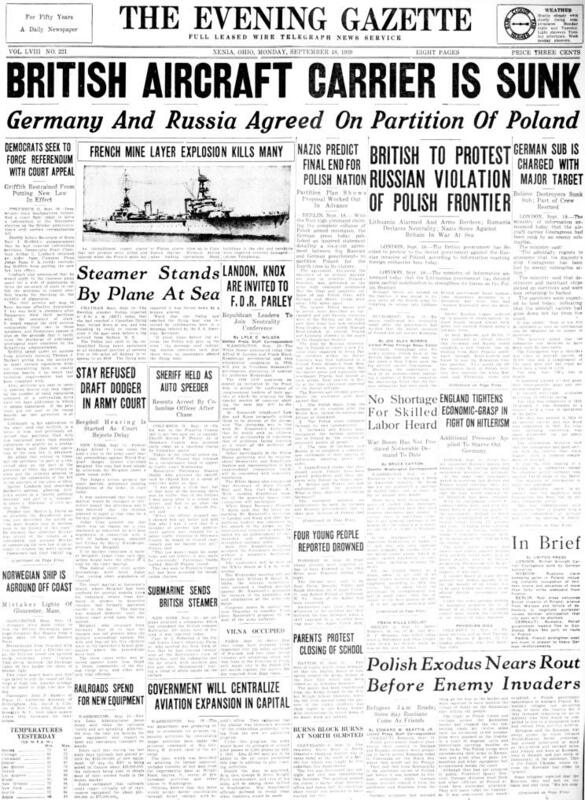 September 18, 1939: Front Page of The Evening Gazette, Xenia, Ohio. 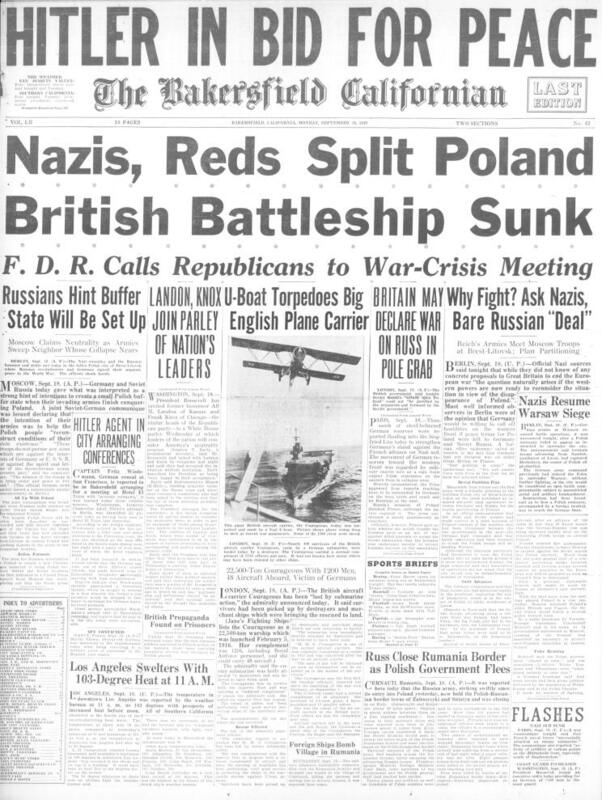 September 18, 1939: Front Page of The Bakersfield Californian, Bakersfield, California. Note that the editor seems to have had a difficult time identifying the type of ship Courageous was, first calling it a battleship then a plane carrier. 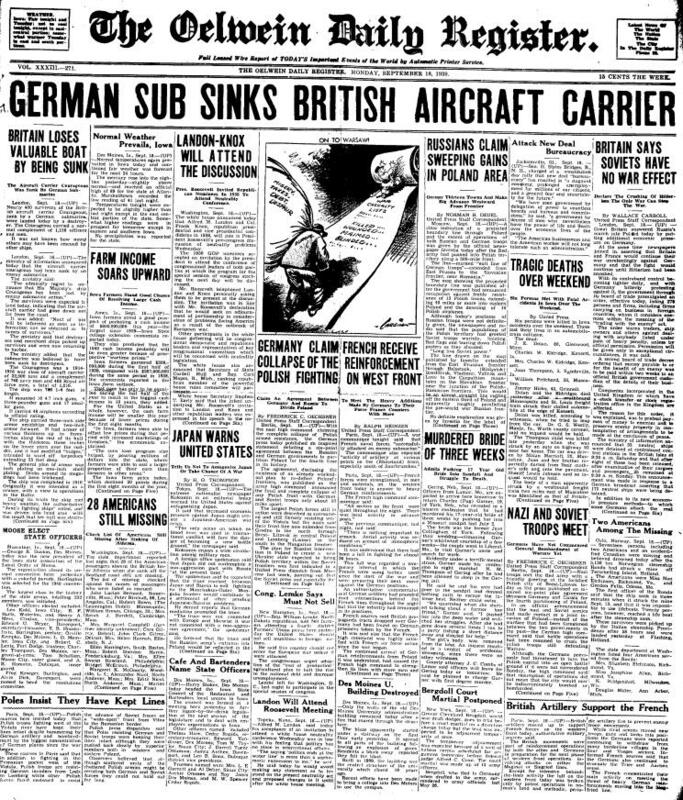 September 18, 1939: Front Page of The Boone News-Republican, Boone, Iowa. 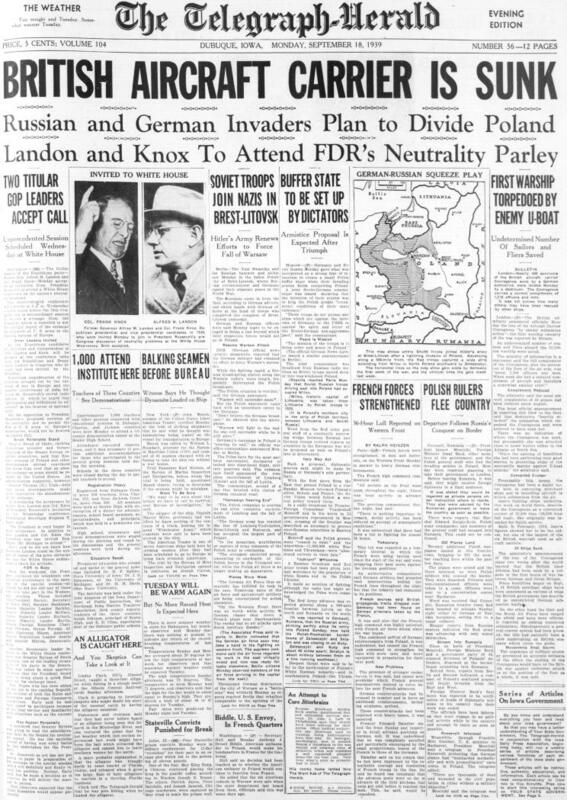 September 18, 1939: Front Page of The Daily Courier, Connellsville, Pennsylvania.